Finding a 24 hour dentist Alhambra, CA, is as simple as just placing a quick call! Emergency dentists USA is the perfect place for you to locate the nearest after hours dentist to where you live or are visiting. When you call our 24 Hour, 7 day a week hotline, you can be receiving quick and professional care for a walk in dentist need within a very short amount of time. We make sure that we have links to those that can help you for a weekend dental emergency all across the nation, and Alhambra, CA is part of that network. We have used our resources to compile a list of dentists across the nation who will offer care even on a Saturday or Sunday, and rid you of your pain. If you are unable to reach any of the dentists in our 24-7 directory, we also give you a hotline that acts as a service to refer you to emergency and weekend dentists in Alhambra. We don’t want you to spend an entire weekend or late night suffering in debilitating pain, you’ll find an end to that pain with a clinic who can provide you emergency dentist services in Alhambra, CA! 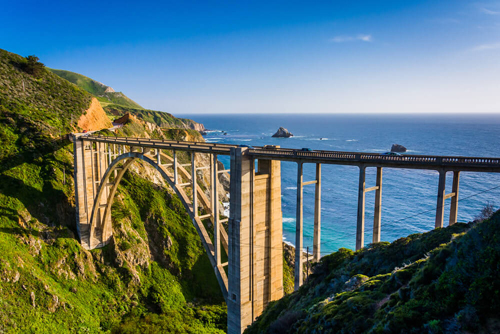 This scenic city in Los Angeles county is a prime example of California living, and is bordered by South Pasadena on the northwest and Monterrey Hills on the west. Visitors love seeing old time sights like Fosselman’s Ice Cream, an old fashioned themed ice cream shop. These Alhambra dentists have been vetted by Emergency Dentists USA, and are here to aid you if you encounter a sudden emergency that requires a 24 hour dentist while visiting. If you don’t reach any of these right away, don’t hesitate to call our emergency dentist hotline! 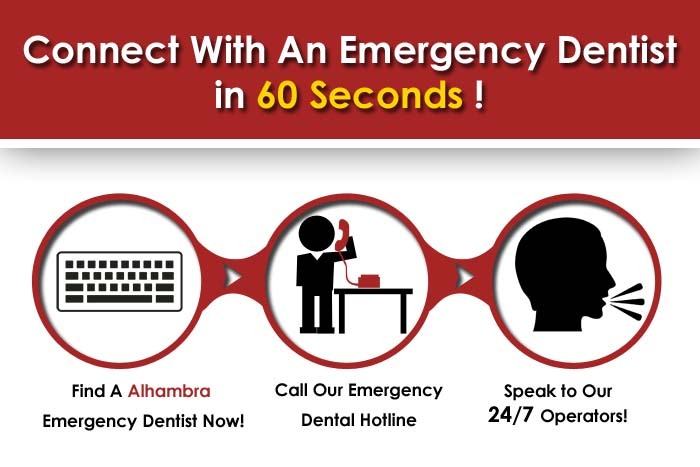 Description: You can call 24 hours a day and 7 days a week to speak to an Alhambra emergency dentist by using our emergency dentist Alhambra hotline. Whether you are looking for a night dental clinic or an emergency Saturday dentist, we’ve got you covered quickly. Our partners maintain a relationship with scores of dentists nationwide. Description:This is a practice that can squeeze you in on Saturday, and they strive to deliver the best treatment you’ll find any emergency dentist can offer. Dr. Wayman Chan received his undergraduate degree from the University of California, and earned his doctorate from the University Of Southern California’s School Of Dentistry. He is a proud recipient of the Clifford O. Dummett Community Dentistry Award, and an amazing contributor to needs in his community. Description:A full service Alhambra professional that can provide emergency root canal operations and other standard procedures, John has a special skill for working with those disabled and in wheelchairs. He prides himself on his ability to sense anxiety in patients, and he has extreme expertise in veneers, crowns, and emergency dentist operations like extractions. Description:Listed as a dentist open on Saturday, Western Dental is a perfect choice for the times in which you find immediate pain thwarting your plans. Head of the clinic Ronald E. Inge was previously the vice president of Professional Services at Delta Dental of Washington. Chief operating officer Lisa Dawe began her career on a presidential campaign, and is a high honored graduate of Stanford. Home of the San Gabriel Valley Lunar New Year’s Parade and Festival, there are great landmarks to visit here such as Granada Park. A city in California where you will want to stay on course if a throbbing emergency tooth pain gives you grief, we will get you immediately in the weekend dentist chair if you find yourself in dire need of an emergency dentist in Alhambra, CA. Place an easy call to Emergency Dentists USA, and see how quickly you can get seen for your ailment.